Hippocrates said, "let your food be your medicine, and your medicine be your food"
So, to remain healthy always, we need to eat healthy food. It is really sad that most of us are of the illusion that healthy food is not tastier. The natural food, we are going to discuss here is healthier and yet one of the tastiest and most relished ones for centuries. And its none other than red grapes. Red grapes are rich in flavonoids, which help in reducing the risk of developing dangerous diseases like cancer, as claimed by the Journal of Agricultural and Food Chemistry. But some recent researches have brought some confusion to the benefits of red grapes against cancer. Its not that red grapes do not help in protecting against cancer, the thing is that the researches done so far fail to make it clear as to what quantities of red grapes should be consumed by the cancer patients. And this emphasizes the urgent need to determine the right amounts of this nutritious fruit for disease prevention. Despite all this controversy surrounding this delicious fruit, we cannot and should abandon it as it is free from any side effect. The only thing to worry about is that eating too many can cause loose stools (as their taste is irresistible). Also, Anthocyanins found in these red grapes play a crucial role in minimizing the risk of heart diseases. Certain plant compounds found in red grapes reduce the risk of blood clots, thereby lowering LDL cholestrol while boosting the 'good' HDL cholestrol. And all this minimize the risk of heart disease. 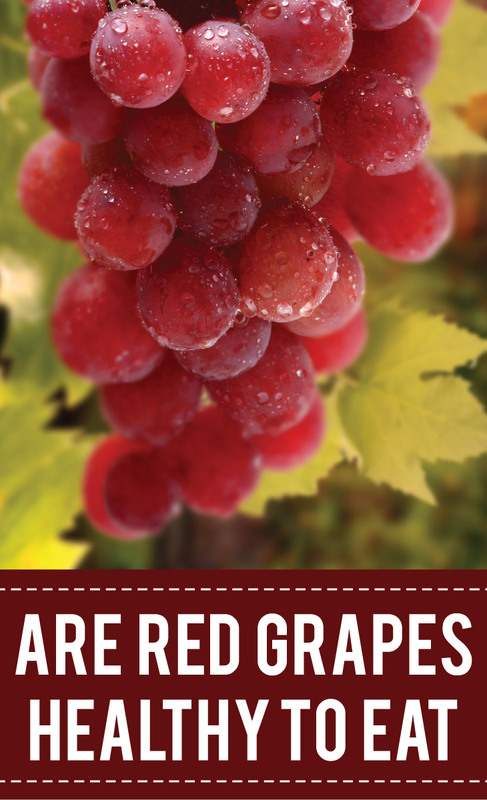 These factors make red grapes one of the most dependable healthy heart foods. To conclude, Grapes are one of the fresh fruits available throughout the year maintaining their fresh and sweet flavor. And do remember that red grapes in the form of red wine play a very crucial role in reducing heart disease risk, principally attributed to the antioxidant resveratrol. But Illingworth cautions that "women at high risk for breast cancer should forego the wine as it will increase breast cancer risk and they should always stick with the grapes or grape juice to remain healthy." Apart from all this, you should also be aware of the brain foods you need for the proper functioning of your brain making you active throughout your life. This information will only add something valuable to your knowledge. Also, know some really effective tips on how to give up morning coffee which is extremely bad for your health.